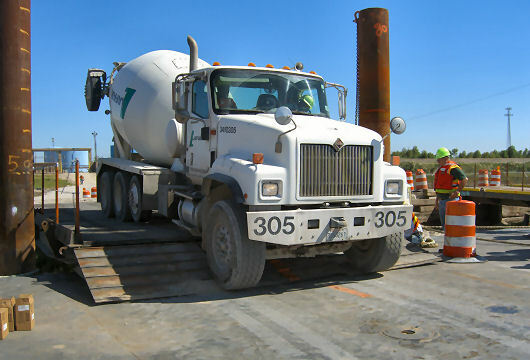 For the GIIW Bypass Gate Tremie Coverage concrete pour, a large number of truckloads of concrete were required. 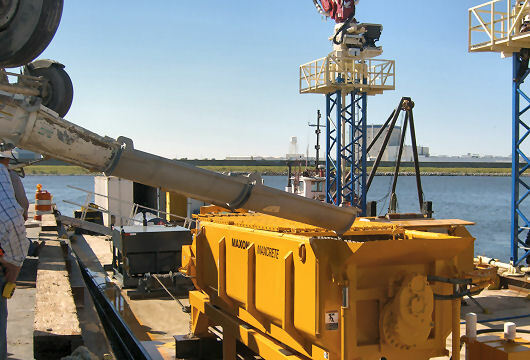 These loads were delivered by driving the mixer trucks onto flat deck cargo barges, tow the barges to the construction site, and dump the concrete into a Maxcrete hopper on a pump barge for pumping into a placing boom. To make the cement chutes work with the Maxcrete hopper, the pump barge was ballasted down to a minimum freeboard. 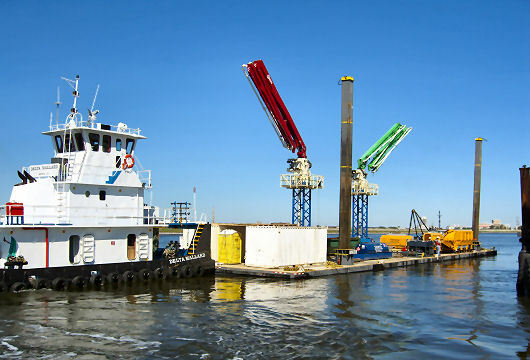 A total of 6 cargo barges of 150 x 54 ft were used, each shuttling 6 mixer trucks at the time. To load the trucks onto the barge decks, 2 ramps were built, each consisting of an aggregate upslope and an hinged existing steel Ro/Ro ramp. 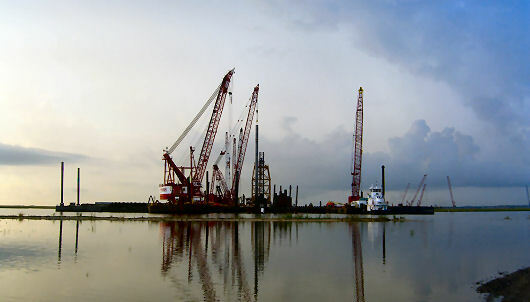 Argonautics Marine Engineering, Inc. attended a test run with 6 loaded mixer trucks at the construction site in New Orleans on October 19, 2009. 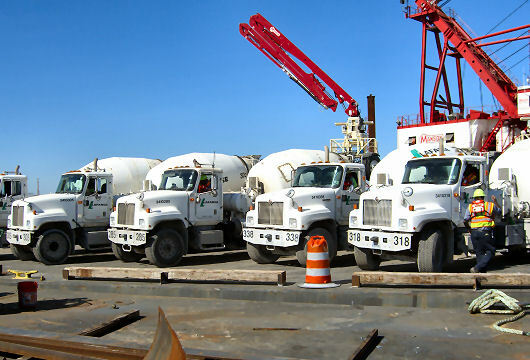 The following weekend, over 500 concrete truck loads of cement were delivered to the construction site. Witness the truck driving/parking tests.